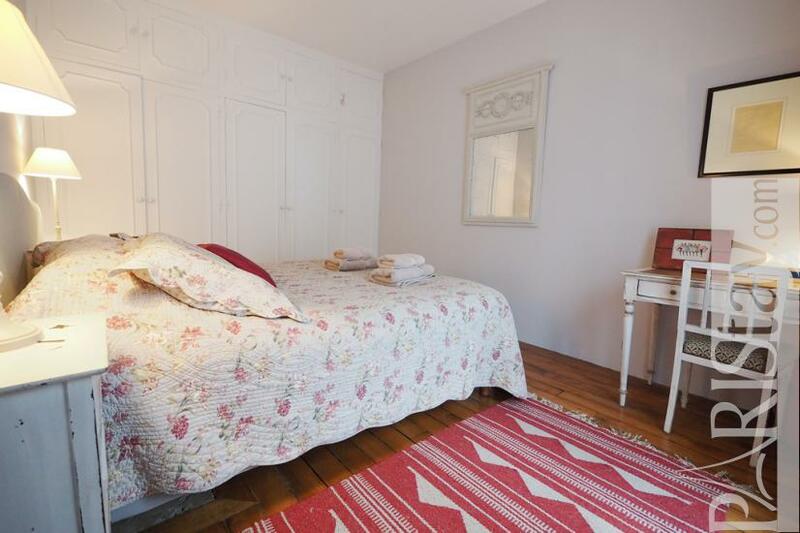 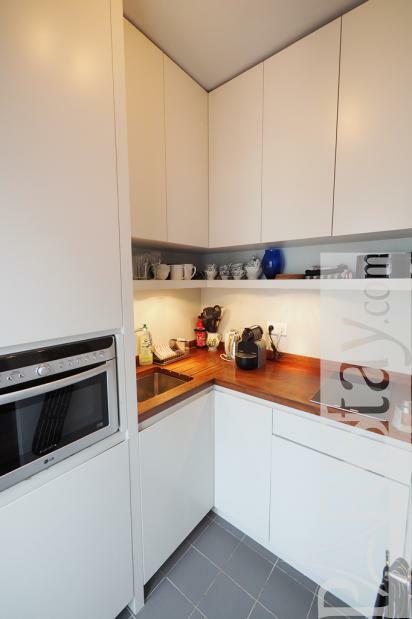 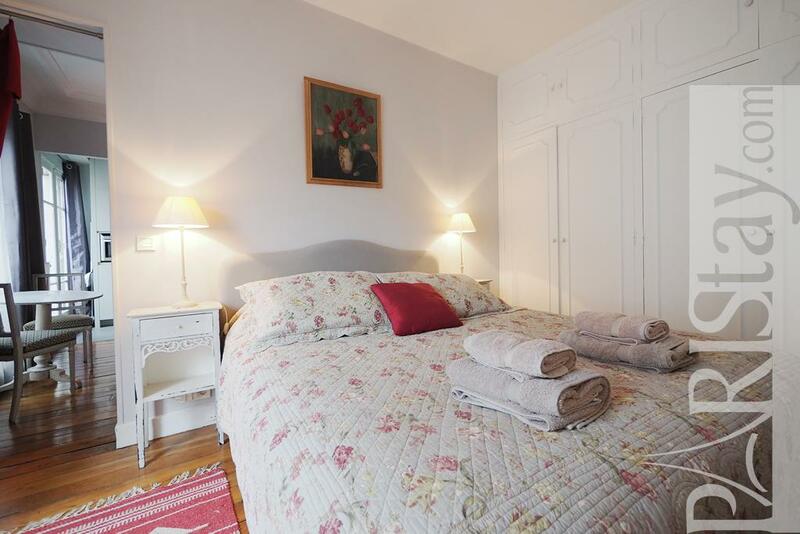 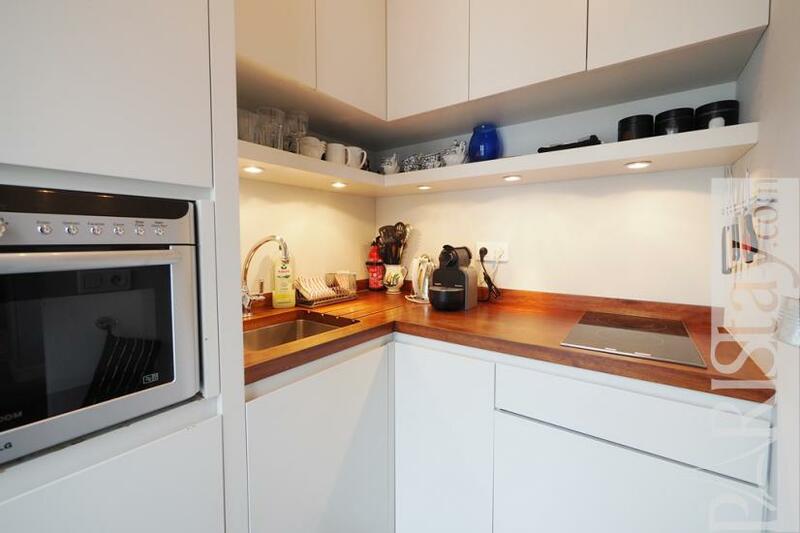 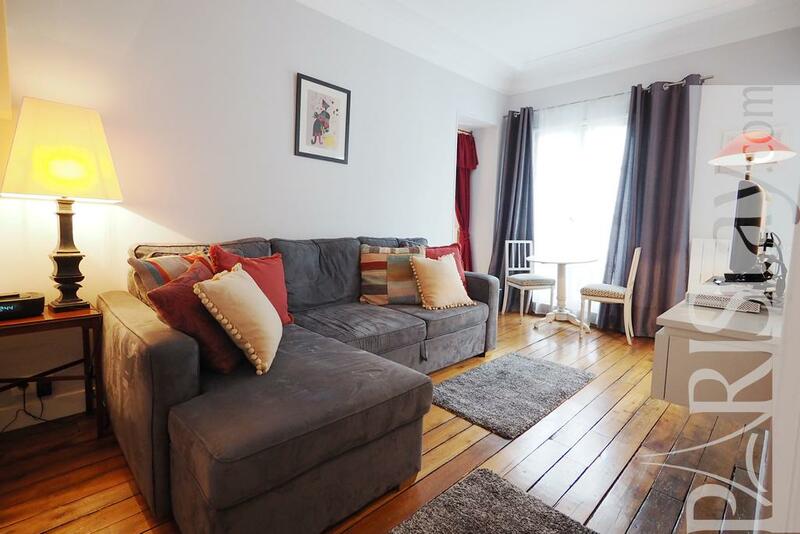 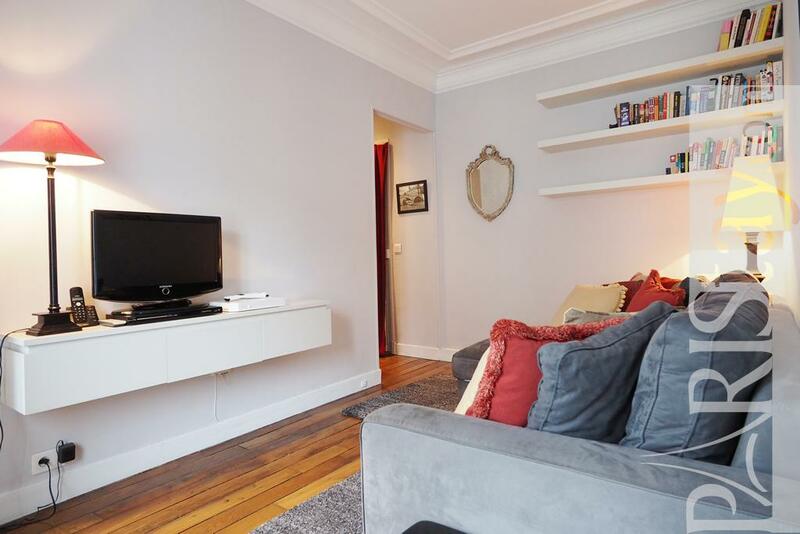 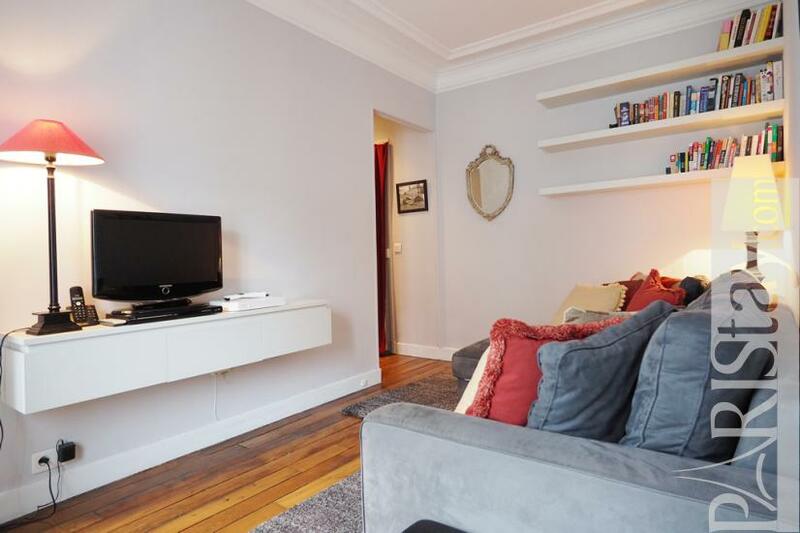 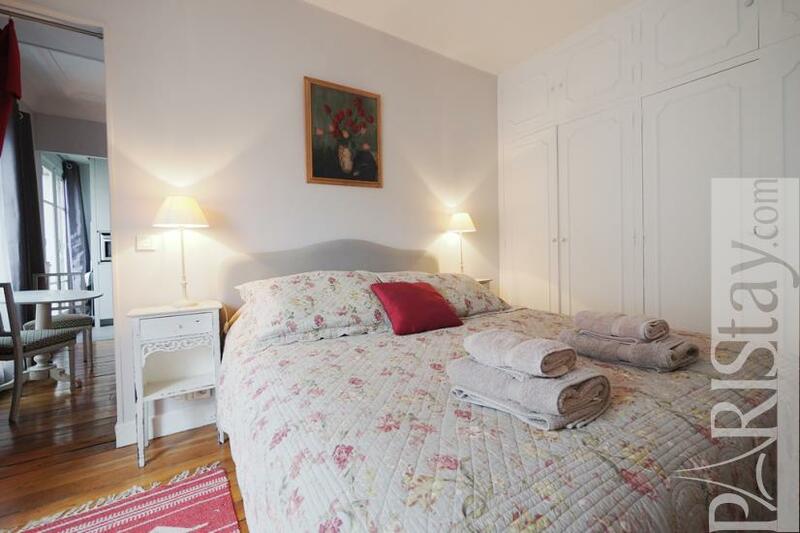 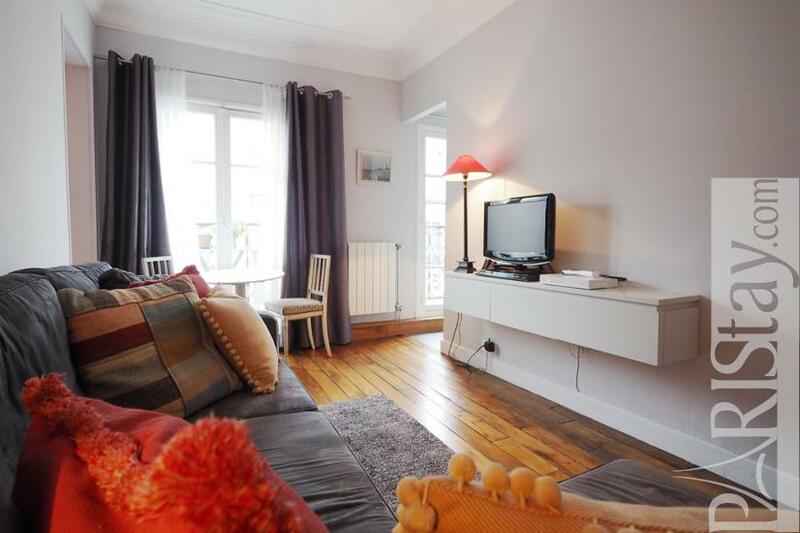 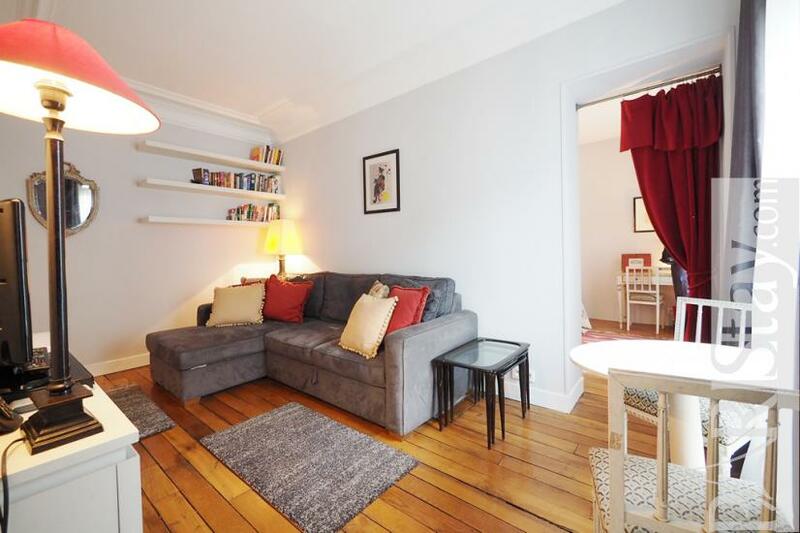 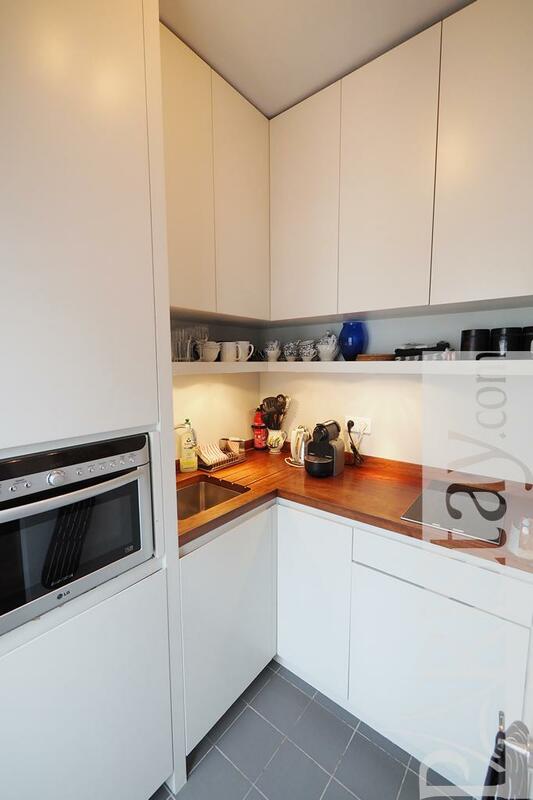 Paris apartment rental located in one of the most charming parts of Montmartre, down the hill and close to convenient transportation links (Metro Blanche, Abbesses) that allow you to go everywhere in town easily. 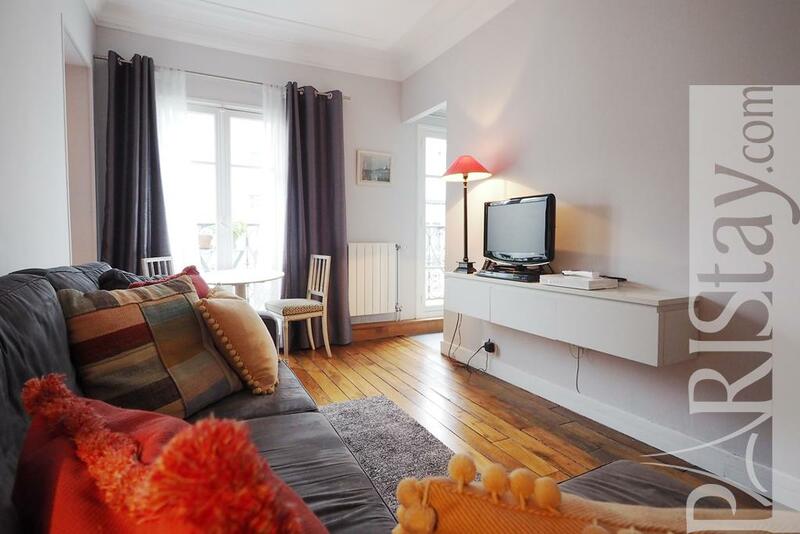 You'll live next to the wonderful Rue Lepic (famous for its typical French food shops, cafés and restaurants) and a 10 mn climb to Montmartre village and Place du Tertre.No way to grow tired of its shops and energy! 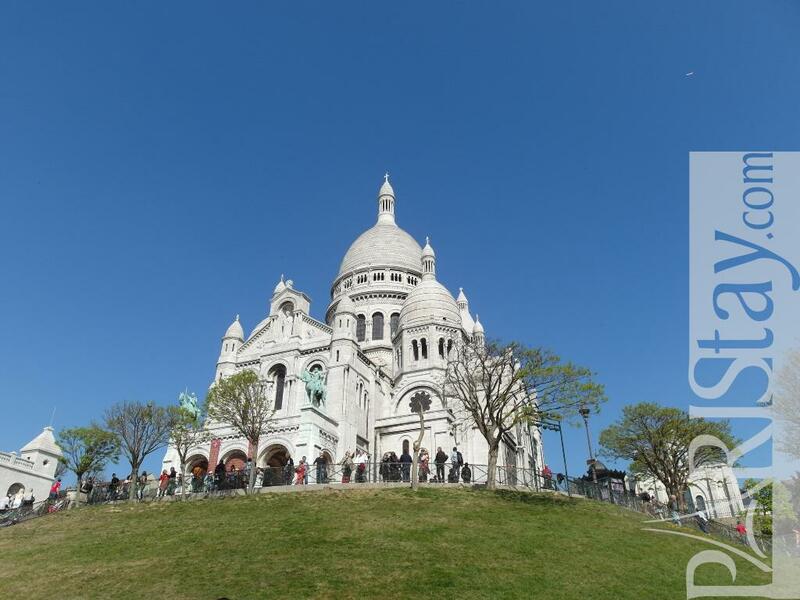 Boulangeries, green grocers, cheese shops, a butcher, a fish monger, wine shop, you're free to experience all foodie adventure you can imagine! 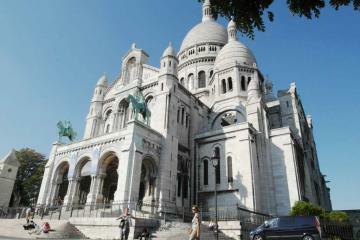 You also have 2 supermarkets, a pharmacy and several cash machines on rue Lepic. 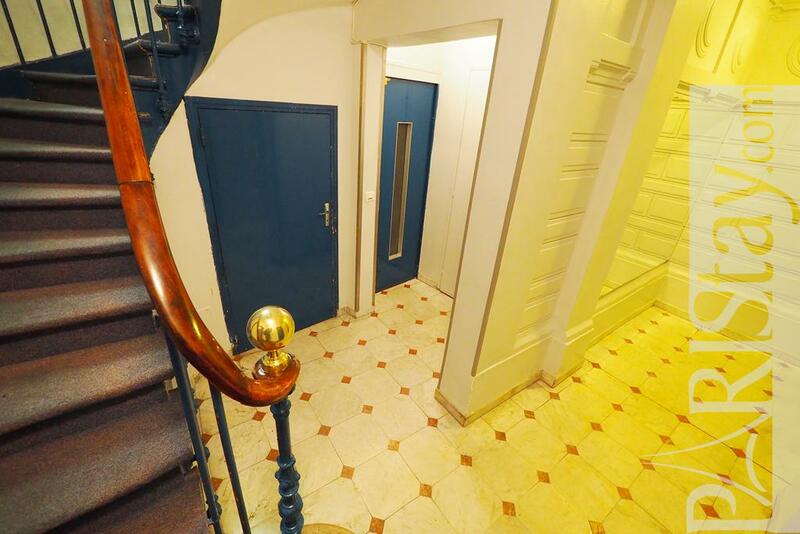 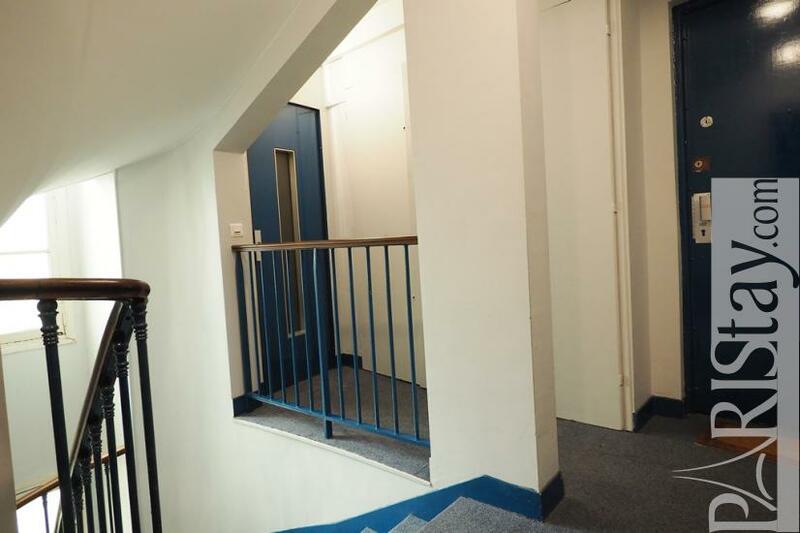 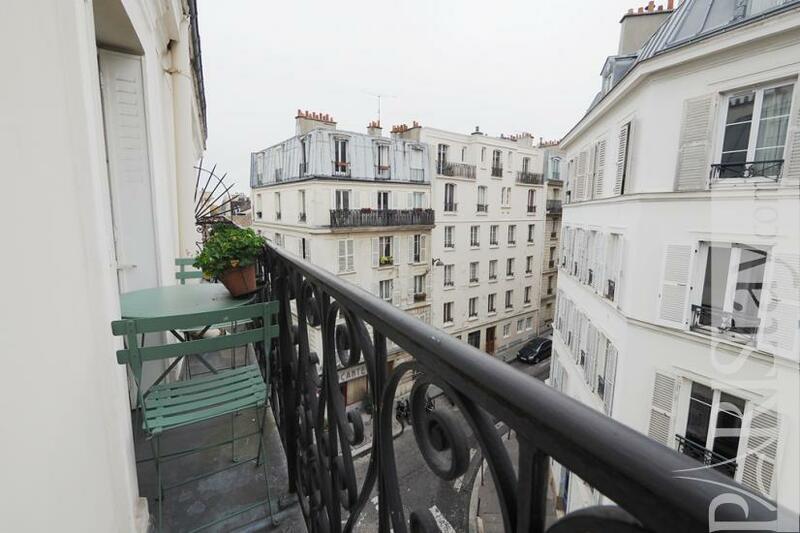 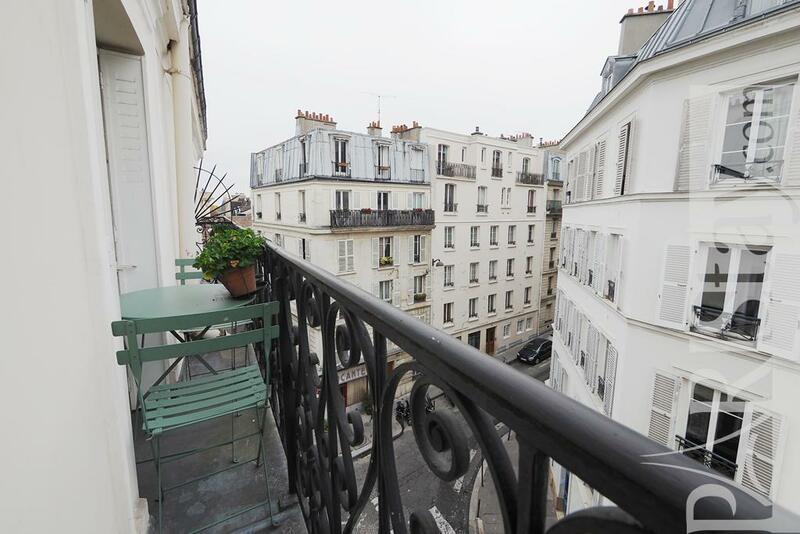 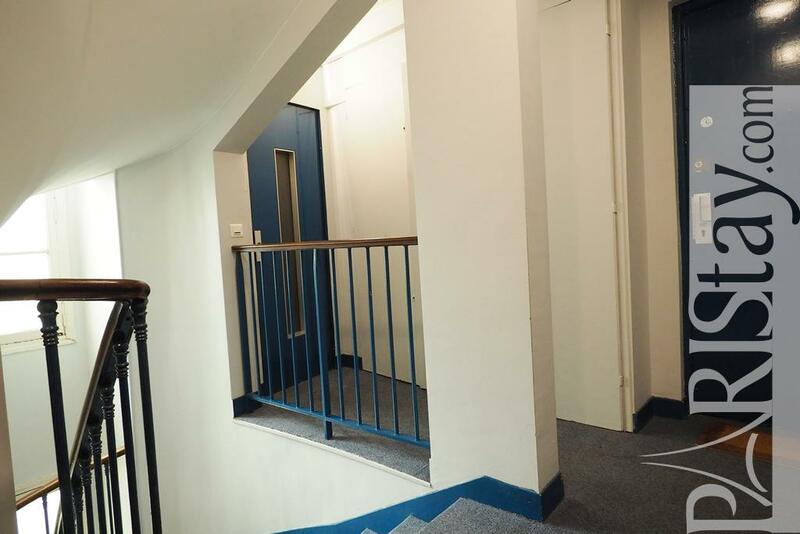 This charming One Bedroom flat for rent in Paris is situated in the quiet Rue Constance, in an authentic 1870 building, on the 4th floor (with lift). It has been very tastefully decorated in a cosy french style and offers quality equipment, comfortable furniture. 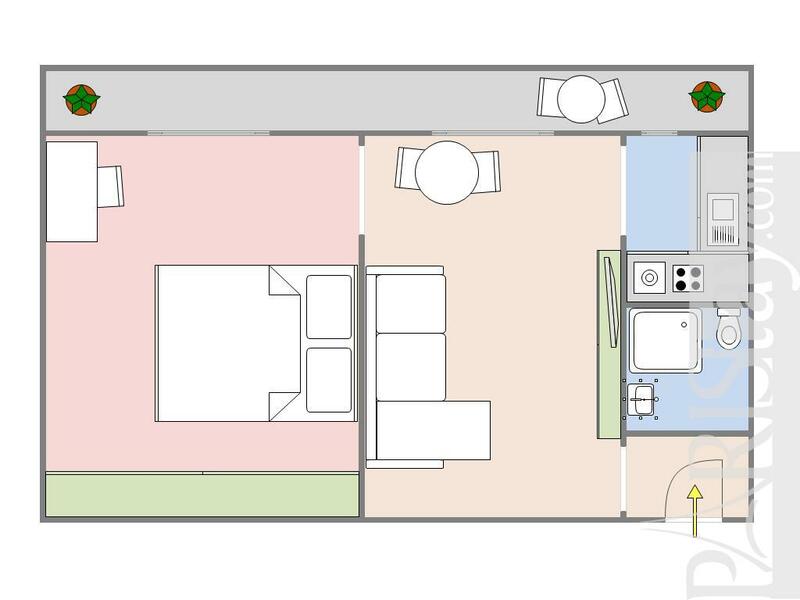 We like the convenient floor plan that offers a spacious bedroom (with king size bed and cupboards), a cosy living room with a double sofa bed and flat screen TV), plus a fully equipped kitchen and a shower room with toilet. 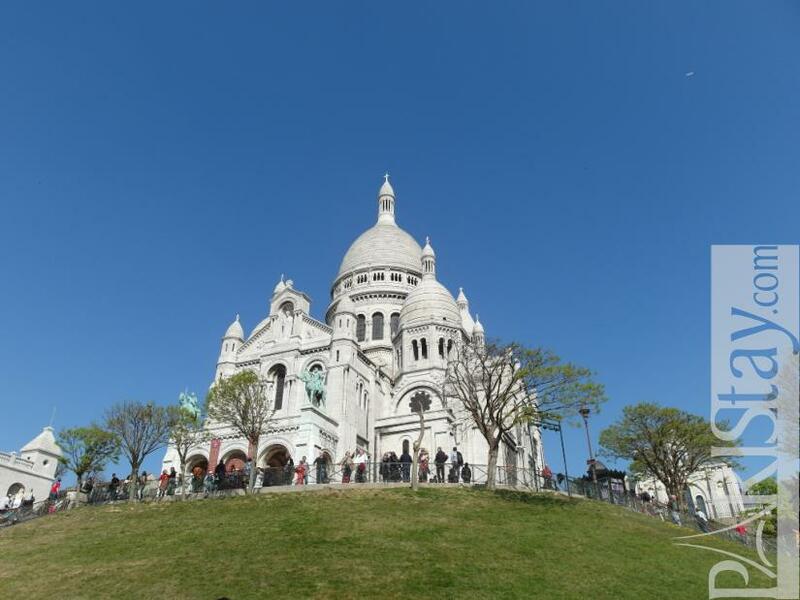 Last but not least, there is a wonderful little balcony offering a cute view on Montmartre hill and the best way to have a drink outside to enjoy it! 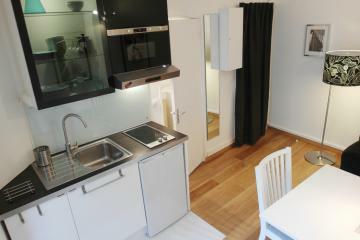 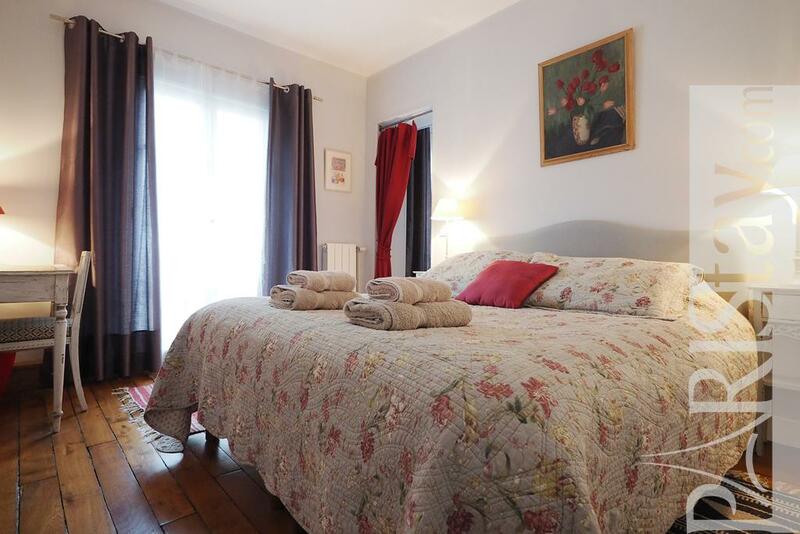 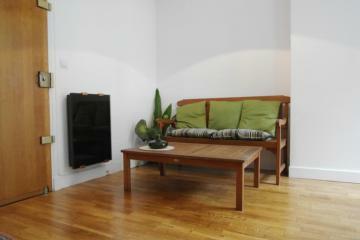 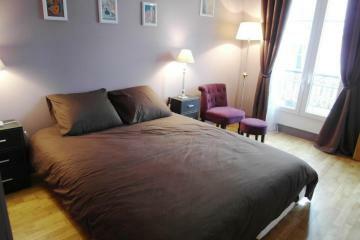 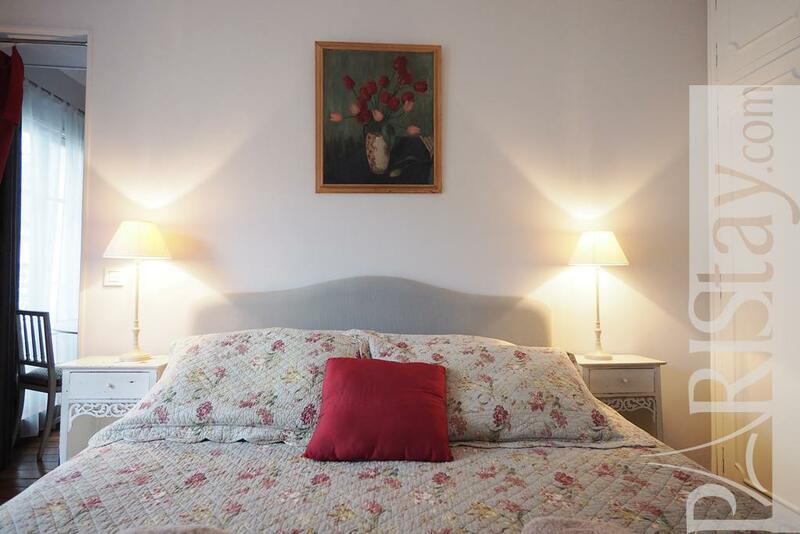 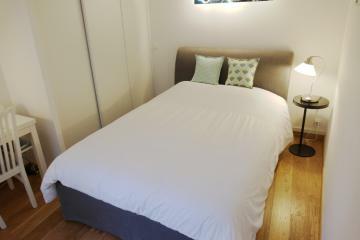 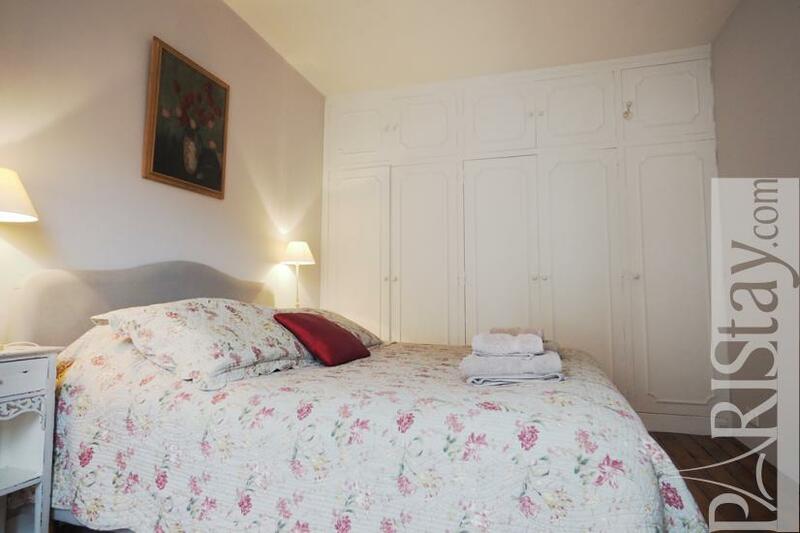 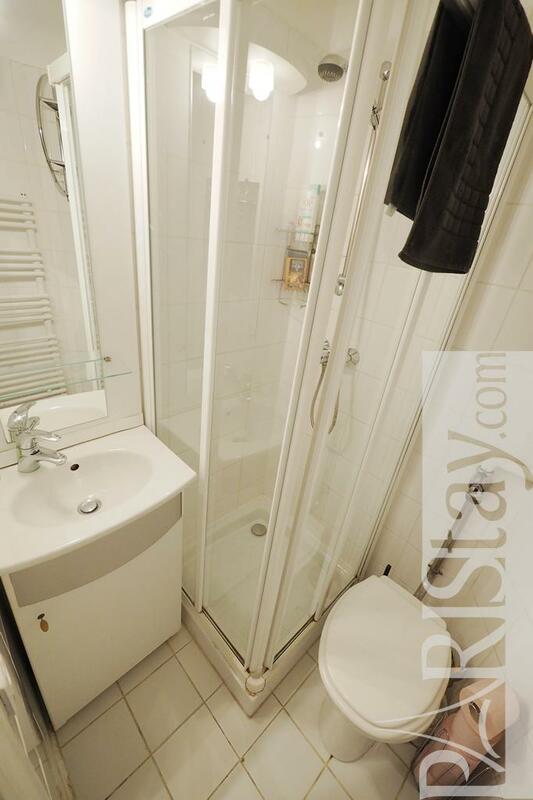 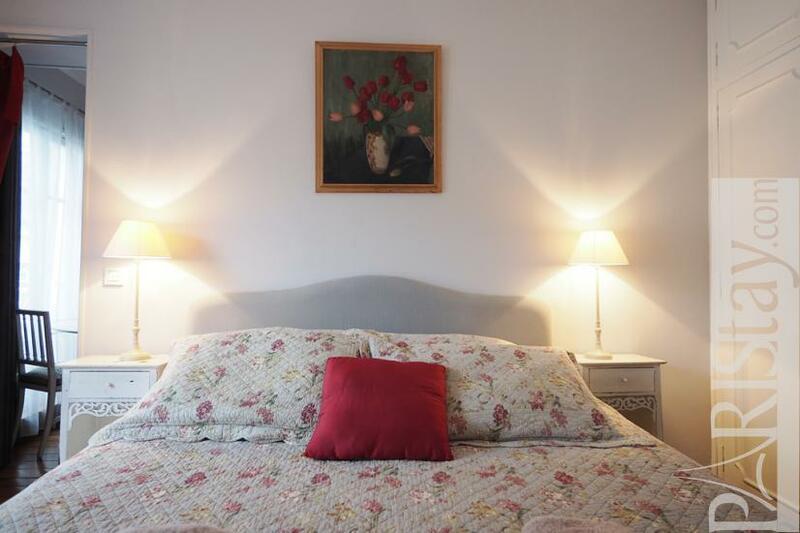 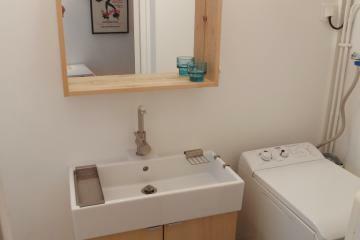 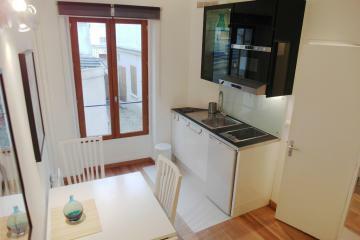 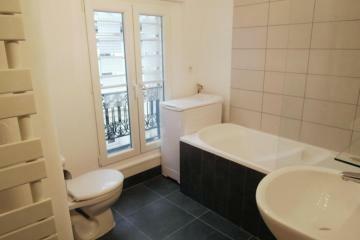 Perfect for your next short term stays in Paris! 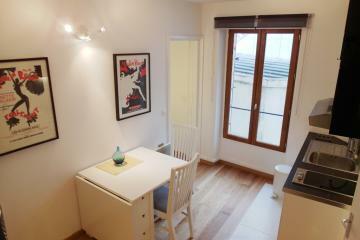 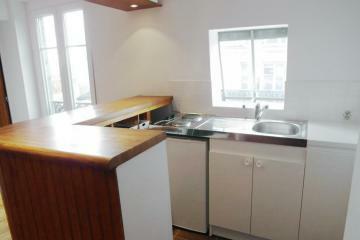 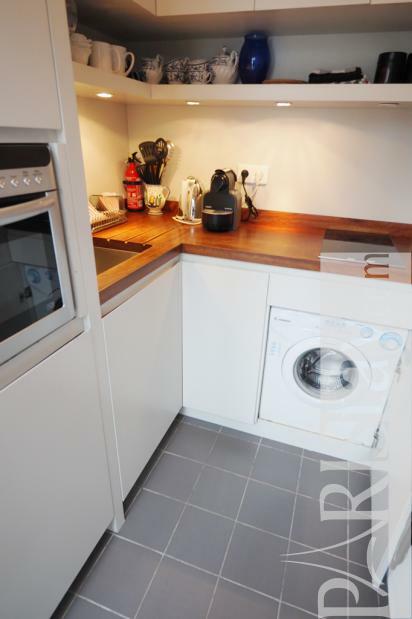 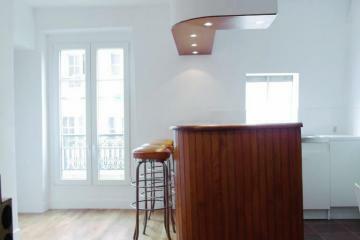 1870's Building, 4 rd floor, with Lift, 1 bedroom Appartement, furnished, Approx: 32m² / 344 Sq.Ft.